Our mission is to provide emergency assistance and a path to economic stability. We envision a future in which no Beaches resident goes hungry or is haunted by the fear of eviction. We are a 501(c)(3) community-based organization serving low income residents living in Jacksonville’s beach communities and serve residents of the following zip codes; 32233, 32266, 32250, 32082, 32224, and 32227. We rely heavily on community support to assist our neighbors in times of need. To prevent homelessness, we provide emergency assistance to cover overdue rent and utility payments. To help families struggling with food insecurity, we operate two client-choice food pantries; one in Jacksonville Beach and one in Mayport. Our 6,500 SF “Grace Garden” supports our pantry operation by supplying several tons of fresh organic produce to our pantries each year. In addition, we offer nutrition education, assistance with applications for SNAP benefits and Medicaid and case management for single mothers working to break the cycle of poverty. Our seasonal programs include Back To School with BEAM and other services such as Thanksgiving food. We also collaborate with many other service providers to ensure that clients receive coordinated guidance toward self-reliance. 749,394 pounds or $1,251,487 worth of food distributed to BEAM families; the equivalent of 624,495 meals. 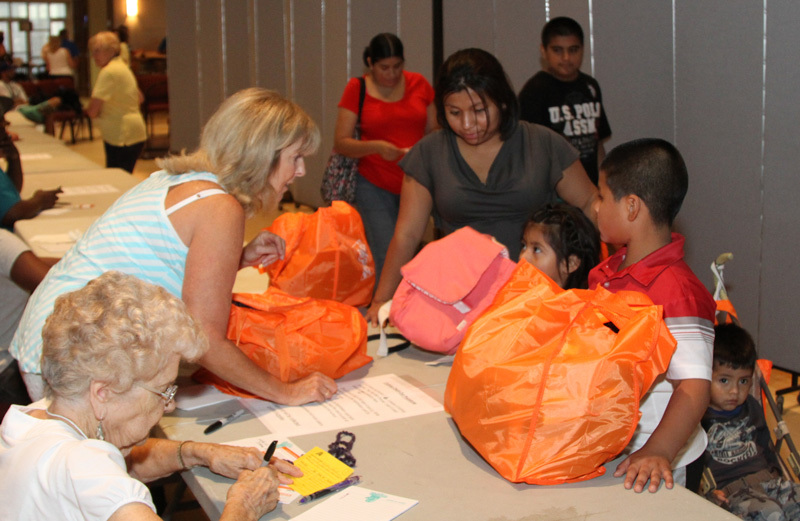 More than 700 children helped with school supplies, clothing, shoes and supplies at Back to School with BEAM. $312,223 in rent, utility, and other assistance provided to qualified families at the beaches. Additional funds from Beaches Energy and Atlantic Beach Water and Sewer Department were distributed through BEAM. 421 volunteers dedicated 56,635 hours, equivalent to $1,334,320 in donated time.